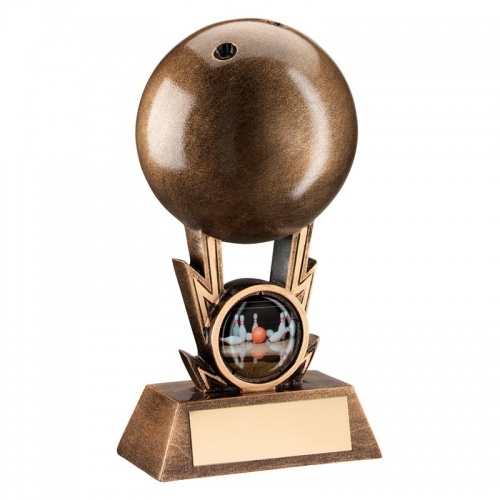 Attractive and eye-catching ten pin bowling trophies that are sure to impress at your club or event presentation. Made in durable and affordable resin with a stylish antique bronze finish, these ten-pin bowls awards feature a bowling ball set on a bevelled base with engraving plaque. These tenpin bowling awards stand 6in (152mm) tall and are offered with text and logo engraving options.